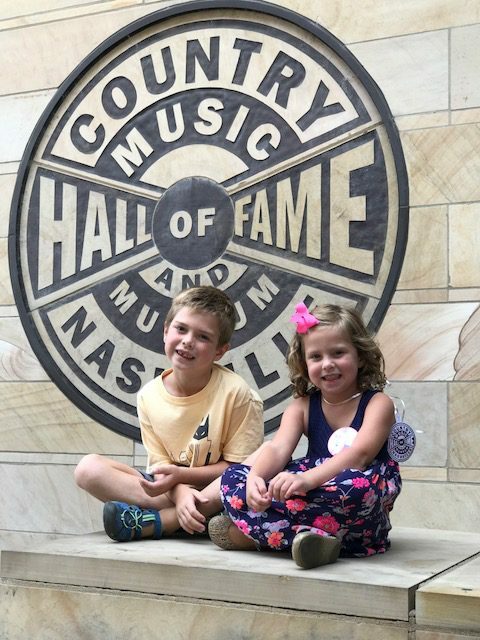 The Country Music Hall of Fame is our go to place to learn about Nashville’s rich musical history! The music, interactive exhibits and family friendly programs keep the whole family happy! The Hall of Fame recently launched the Community Counts program making the museum even more accessible to locals. The Community Counts programs allows free admission to children under age 18 from surrounding counties (Davidson, Cheatham, Robertson, Rutherford, Sumner, Williamson, and Wilson counties). All you need is a driver’s license, library card, passport, school t-shirt, or recent report card to show for entry. Not only is the museum offering free admission to local youth but admission for two adults is available through the Nashville Public Library with the Community Counts Passport. We will be taking advantage of these incentives to explore the museum on a regular basis. The Taylor Swift Education Center offers art activities designed for kids, such as button making, square dance lessons, and musical lessons like ukulele and banjo. Check out the museum’s calendar to be aware of the frequently added events. The Hall of Fame also offers Songwriting Camp, dance programs, String City Puppetry shows, and interactive costume design. My children particularly enjoyed the “Recording Studio”. They loved being able to hear themselves sing into the microphone and have their voices recorded. They may have sang the same song over and over all the way home but we couldn’t be mad with their happy hearts. However, I’m not sure either one of them have a future in the music business. We had the best time exploring all the museum has to offer. There’s no other place where you can peek inside Elvis’s gold plated limo, see Dolly’s custom dress and do crafts in Taylor Swift’s Education Center. With the Community Counts program, we will definitely be frequenting the museum more often!